It was a bit shocking when Chris Martin and Gwyneth Paltrow broke up, considering they were one of Hollywood's golden couples and seemed just perfect for each other. After their breakup, Jennifer Lawrence was seen on Martin's arm and he suddenly became the luckiest man on Earth... again. 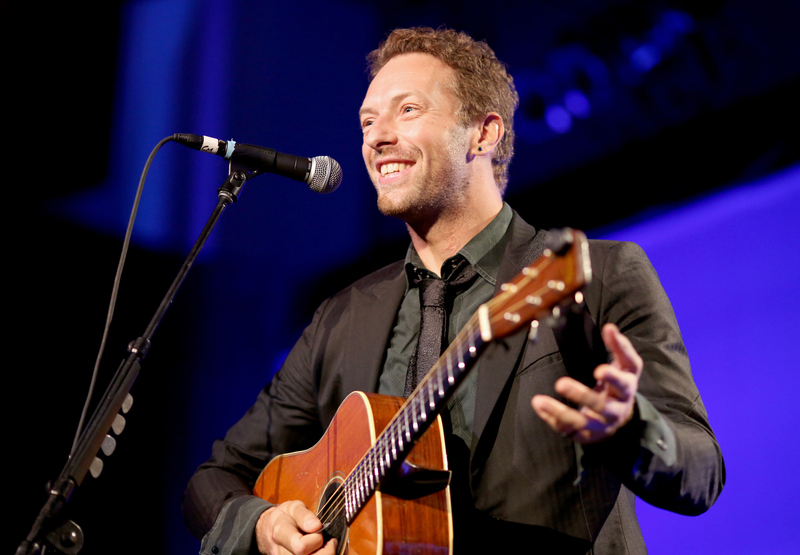 It's been a while since that romance fizzled in early 2015, so is Chris Martin dating anyone right now? It seems like the Coldplay singer is still holding on to his summer love. After rumors that his on-off romance with Lawrence was over, Martin was spotted with Annabelle Wallis in August 2015. The 38-year-old was photographed visiting the actor while she was on set, and they engaged in some PDA on a very public street looking totally smitten with each other. Everyone who got asked to sing on our album has an important part in our lives... This is The Wall Street Journal, so I don't want to get too hippie, but what I'm trying to learn in my life is the value of every human. I would think this might be a lot to deal with if you're in a new relationship — how could you not be jealous as the new woman in this equation? In mid-January, some publications started reporting that Martin and Wallis had gone a an "indefinite break," citing "lost of interest" and concern over Martin and Paltrow's closeness. While that wouldn't be surprising, Wallis' social media has some clues that the two are still seeing each other. On Jan. 19, the Peaky Blinders star tweeted a link to Coldplay's video for "Birds" and even threw some heart-eye emojis in there. Then a few days before Martin's carpool karaoke skit on The Late Late Show with James Corden, she posted an Instagram of the pair, captioning her "absolute favorites making sweet music." Well, it seems like she does still favor Martin, so it looks to me like they're going steady as of now. Maybe we will catch a glimpse of this beautiful pair during the Super Bowl as Coldplay headlines the half time show in San Francisco on Feb. 7!